Every now and then my obsessiveness works for me instead of against me. In this case it’s the sweater. When I find myself with a few minutes I grab it and knit. It’s the perfect excuse to sit down and eat lunch, sit down and have a cup of tea or just plain sit down and knit. 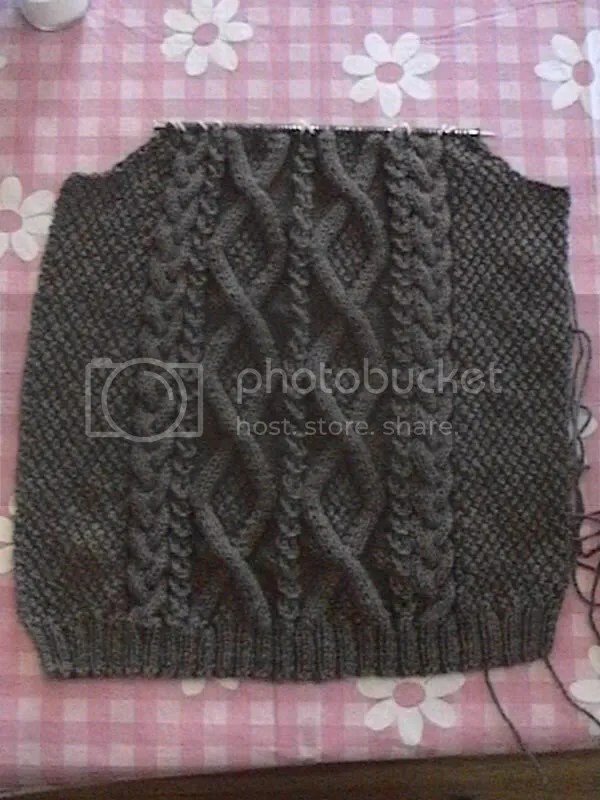 With all this sitting and knitting there has been some decent progress. Just check out Saturday’s post.